If I had to name who I think were the top 5 most significant philosophers in Western history, I would probably go with Socrates, Plato, Aristotle, Descartes, and Kant. The first 3 formed the backbone against which all Western thought had to react, and the latter two both marked crucial turning points. 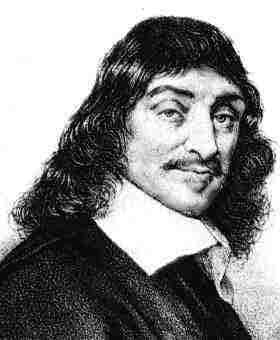 Descartes marked the turn towards modernism with his emphasis on individual human reason as the epistemological starting point, and Kant paved the way towards postmodernism by limiting human knowledge to the phenomenal realm, i.e., reality in its appearance to us as opposed to reality in itself. Leslie Newbigin suggests that the centerpiece of Descartes’ method was the critical principle: de omnibus dubitandum, “all things are to be doubted” (Proper Confidence: Faith, Doubt, and Certainty in Christian Discipleship [Eerdmans, 1995], pp. 21-25). Every truth claim is open to doubt, and only those which are indubitable in the face of human reason should remain. I agree with Newbigin, however, that Descartes’ critical principle itself rests upon faith – specifically, faith in the possibility and reliability of an individual knower’s doubt. In order to doubt, I must first momentarily suspend doubt about doubt. I must have faith in doubt. In other words, with a hidden inconsistency in Descartes’ system, the critical principle itself is exempt from the principle of that all things are to be doubted. De omnibus dubitandum – except for the principle de omnibus dubitandum. Descartes is seeking to completely start over and assume nothing, but smuggled in the back door is a whole posture towards knowledge and reality that assumes so much. Its like someone in a relationship who has messed up relationships in the past and is therefore scared to make any decisions or changes in this relationship. But that very posture towards relationships is itself a decision, more likely destroy the relationship than any other. Human beings are finite, and no finite thing can approach reality or knowledge “standing still.” We are all already committed. Already moving. Already decided. Already believing. The ultimate problem with Descartes’ method, it seems to me, is that it seeks to find certainty without reference to God. He has sought to prove God as a conclusion without starting with God as a premise. But if God is real, surely by His very nature He must the starting point of our method (for in him we live and move and have our being). God should be the premise, not merely the conclusion. He must shape the way we know. As Newbigin puts it: “if the biblical story is true, the kind of certainty proper to a human being will be one which rests on the fidelity of God, not upon the competence of the human knower. It will be a kind of certainty which is inseparable from gratitude and trust” (idem, 28). It is hard to disagree with your top five! I’m going to go out on a limb and ask you to reveal your top ten most influential philosophers in the history of the West. You don’t have to post to the extent that you did on Descartes, but I would be interested in knowing who else you would consider influential. Man that’s a tough one! I really don’t know enough to say – but if I had to try, maybe Augustine, Aquinas, Hegel, Kierkegaard, and Wittgenstein? Or Marx if we consider political philosophy. Interested in your thoughts too. My own calls are pretty subjective.